Motocaddy S1 Digital (Sealed Lead Acid & Lithium Ion) Electric Golf Caddy Cart Trolley - BUY FROM THE #1 TRUSTED Site for Remote/Non-Remote Control Electric Golf Caddies! (In Business since 2005). Call Us to Learn More about SPECIAL OFFERS! (702) 723-8348. For a limited time, we are offering the 2018 Motocaddy S1, Manually (Non-Remote) Controlled Electric Golf Trolley, with Sealed Lead Acid Battery (SLA), for $649.00 (MSRP - $999.00) and with Lithiuim Ion Battery, for $799.00 (MSRP - $1,199.00) with FREE SHIPPING to all U.S. customers (excluding AK and HI - we currently do not ship to AK and HI). The 2019 Motocaddy S1 Models will arrive ~early July (2019 Models will be priced $699.00 for SLA Battery and $899.00 for Lithium Battery - 2019 Models will have a small facelift but no major changes). Accessory station, battery and charger are included. SPECIAL PROMOTION: For orders placed on or before 4/28, we will also include: Drink Holder (standard size)+Scorecard Holder or Drink Holder (standard size)+Device Cradle or Scorecard Holder+Device Cradle or FREE Rain Cover - (Up to $70.00 Value -ABSOLUTELY FREE!!). (UP TO $70.00 VALUE - ABSOLUTELY FREE!!). Since the original Motocaddy S1 was launched in 2006, it has been the fastest selling powered golf cart in the UK. It is now growing popularity in the US. But rather than rest on our laurels, we upgraded it to run on our efficient digital platform taken from the highly successful S3 model. The S1 Digital is incredibly simple to operate with a combined on-off switch and speed controller in one button. Simply twist to one of nine digitally controlled speed settings then tap the button to start. The S1 Digital will smoothly accelerate to your selected speed. Just tap again when you want to stop... there's no need to reduce the speed setting. 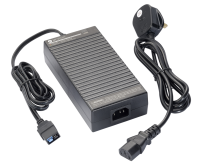 The Motocaddy S1 has an innovative multi-platform battery tray designed to hold the Standard, Extended Range or Motocaddy Lithium battery. The Motocaddy S1 model comes in Black and Alpine White. 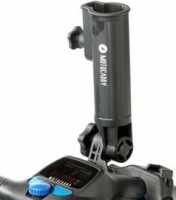 The Motocaddy S1 Pro has all the features of the S1 but includes the USB Port Connection and adjustable distance contrl 15, 30, and 45 yards. The S1 Pro has been discontinued in the U.S.
We only collect taxes from Nevada residents on the purchase of Motocaddy S1 Golf Trolley and your order usually ships within 1-2 business days of receipt of payment. Digital control panel offering On-Off and nine speed settings for ease of use. 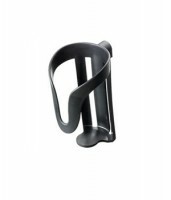 Dual handle catering for left and right handed golfers. Powerful, whisper quiet and highly efficient third generation 200W motor. Quick Release Wheels with sporty tire tread. Lightweight and very sturdy aerospace grade aluminium frame (only 7.6kg!). 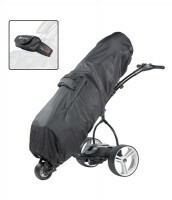 Exclusive locking system which conveniently locks the cart together for easy transportation. Fully adjustable upper and lower bag supports. Digital platform offering unsurpassed efficiency and reliability. Key components are now even easier to change. In the unlikely event you encounter a problem, the new S1 Digital includes a revolutionary self diagnosis system to discover the fault and get you back on the course quicker than ever before. New option for Ultra Lightweight 5 lb Lithium Battery. Please retain your sales receipt or packing slip for proof of purchase. We will diagnose the problem and send the replacement part to the customer by FedEx ground or US Mail. Any parts replaced under the warranty, at no charge, do not carry a new warranty. In the event the customer is unable to replace the part themselves, please retail all the original packaging material to return your trolley for repair. All trolleys must be returned in the original packaging. 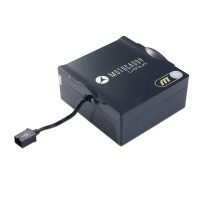 If you do not have the original packaging material Motocaddy can provide a new box at the customers expense. What is the return policy at Motocaddy? 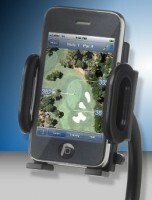 Once the product has been returned to Motocaddy we will determine if the above criteria have been met. At that time a refund will be issued minus any fees incurred. 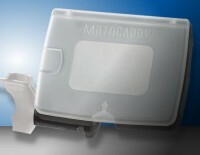 Motocaddy is not responsible for any damages to the product during return shipping. 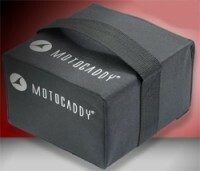 Any product not offered by Motocaddy, and is special ordered, is not returnable.